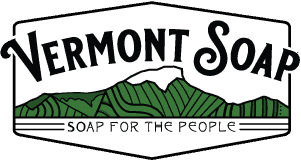 Whether you are looking at certified organic foaming soap for hands, body or spot cleaning; you will LOVE the smooth vegetable oil feel of the Vermont Soap foamer soap line of products. Now available in Made With and 95% organic bases. Note: 95% products may bear the USDA seal on the front panel of your product and use the word Organic in the product and company names. We can package your private label organic foaming hand soap in a variety of sizes. Our popular and reliable 8oz pump foamer is always in stock and ready to fill or send us your favorite components. Contact your private label specialist for options. Let us put YOUR great scent and label on OUR great product! Your customers will swoon with happiness when they try it out. If you are considering expanding your line, outsourcing your in-house liquid soap production, or you have a cool soap idea and are looking for a reliable factory to work with, give us a call about our private label soap opportunity! We would be happy to work with you to make your natural liquid soap product. Please see our Private Label FAQ page for more information or contact one of our private label specialists.